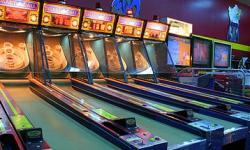 Located in Egg Harbor, Wisconsin, Egg Harbor Fun Park is the perfect family playground! With a large 3000 sq. ft. indoor arcade and game area, even a rainy day can't stop the fun. 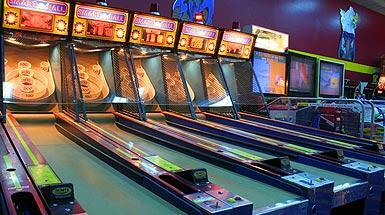 Complete with all of your favorite games like Skee Ball, pinball and many more. There is something for everyone and every age! 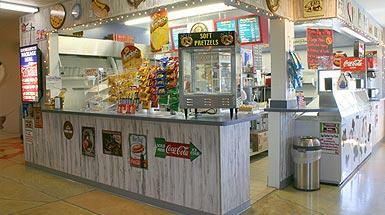 Egg Harbor Fun Park offer a Deli-style Pizza shop. 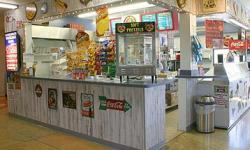 Featuring fresh Pizzas made to order along with hot dogs, brats, sausages, nachos and more. Plenty of seating for the whole family or for a private party. Call us for more information about booking your next party or group function here in Egg Harbor. Wisconsin. When your finished with you lunch or dinner, our ice cream shoppe features 16 varieties of hand dipped super premium ice cream. Cones, sundaes, malts, shakes & floats will sure to please you and your gang. What family vacation would be complete without a round of mini-golf? Enjoy 18 holes of fun filled mini-golf action on Door County's newest Fun Park. 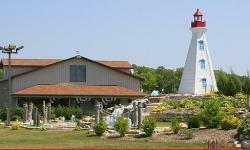 Putt your way over bridges, past waterfalls through the cave and under the 3 story tall lighthouse. And don't forget about water wars! A great way to cool off and laugh at the same time! So douse your spouse, blast your buddy and get ready to get wet!